Work prints into your wardrobe this season doll. 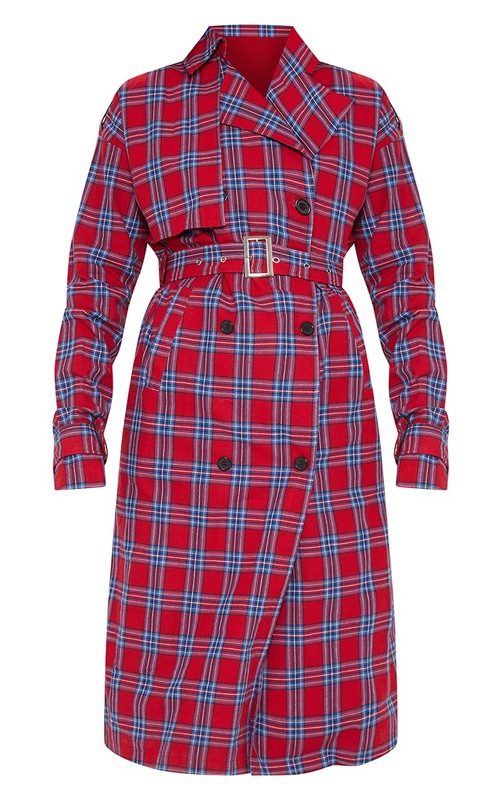 Featuring a red checked fabric with a longline length, an attached belt and button detailing on the front. 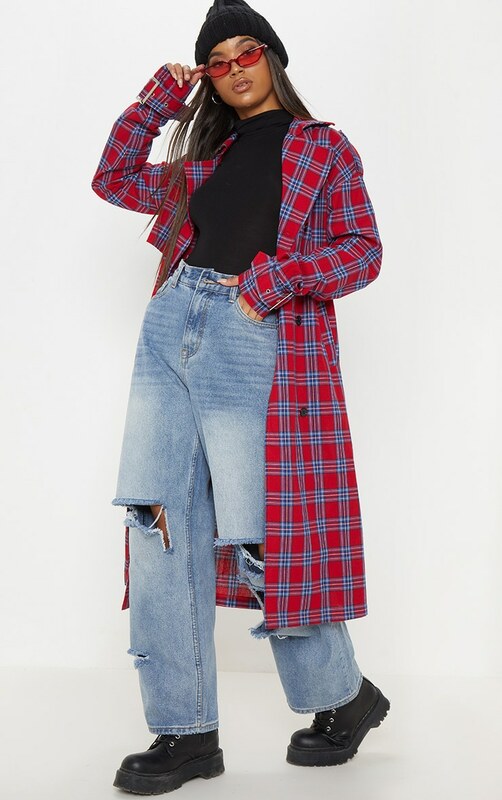 Team over wide leg jeans and add a cross body bag and pointed boots for the ultimate look.